Want to share your love for the outdoors? 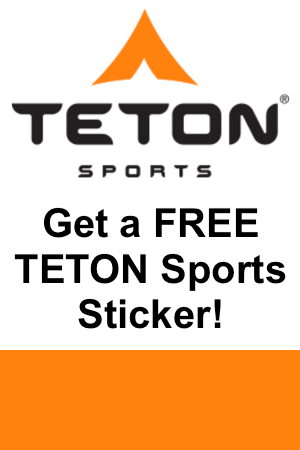 Now’s your chance to get a FREE TETON Sports sticker. Simply click the “Snag This” link and fill out the request form. If, you’d like to check out some of TETON’s products, there’s great deals on Amazon.